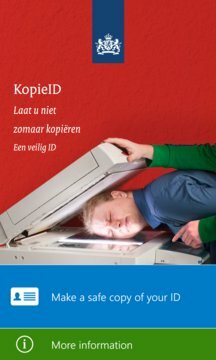 Do not just give someone your ID or a copy of your ID With the KopieID App you protect your identity details. 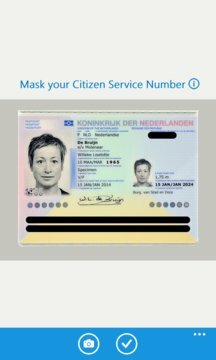 Use KopieID to make a safe copy of your identity card, passport or driver's license. Fill in for whom the copy is intended and why this copy is needed. Mail the copy with this selfmade watermark to the relevant department. This app has been published by the Ministry of the Interior and Kingdom Relations.